This diamond pattern stairwell wood window was letting in the light, as it should, but it was also letting in the view, which was less desirable. 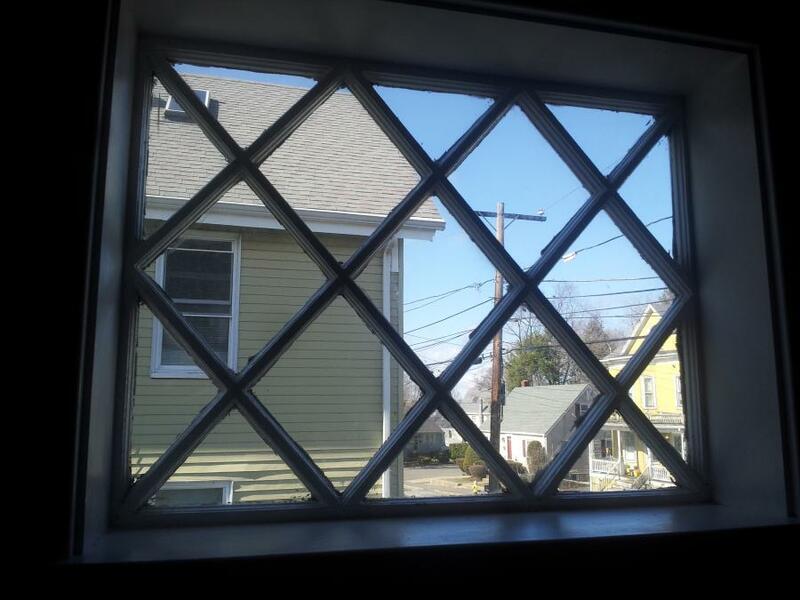 Eric Mauro Stained Glass of Jamaica Plain, Massachusetts consulted on design and then furnished this leaded glass exterior window that improves the view, protects the original window and conserves energy. 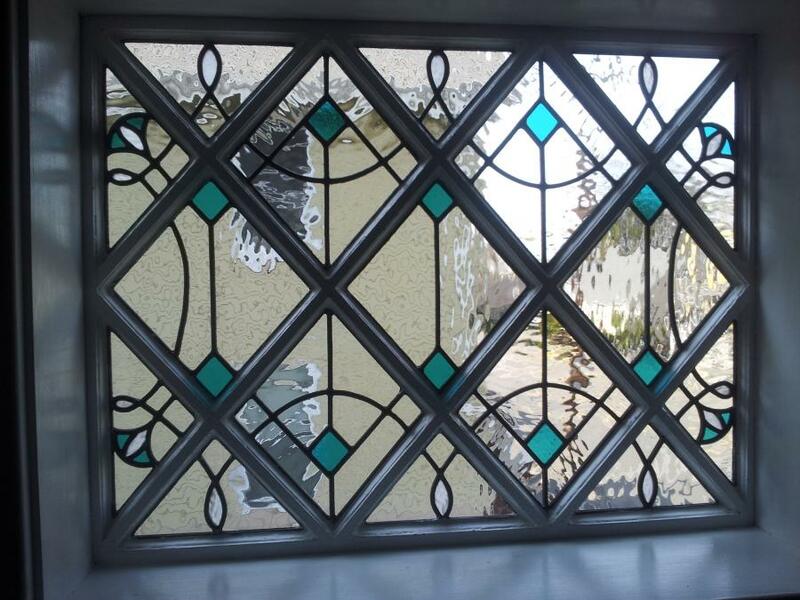 This entry was posted in Stained Glass and tagged Massachusetts. Bookmark the permalink.